Tired of complicated Trading systems? Searching for an easy system with constant profits? 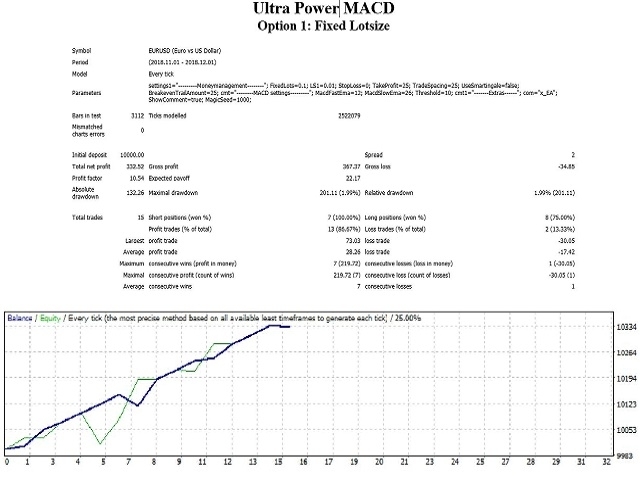 The Ultra Power MACD Trader is a fully automated Expert Advisor with the use of a smart martingale system (Calculates the martingale multiplier according to your defined trace in pips) as an option. The beauty of a Basket Trader is the function to calculate for all open trades of the same symbol and the same direction a break even point. From there the defined Take Profit will start. The protentional of a Basket Trader is enormous. See the result Nov + Dec 2018. Default settings recommend for EURUSD M15. The product works on all Forex pairs. Specify values in pips and it will automatically recalculate everything nevertheless what digit broker you are using. Smart Martingale (starting with the value of incremental Lotsize). 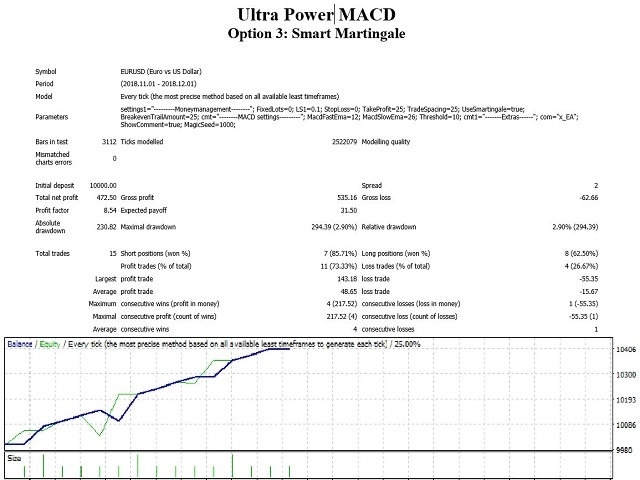 6) Calculator for Martingale the standard is set to 25 % Trail. 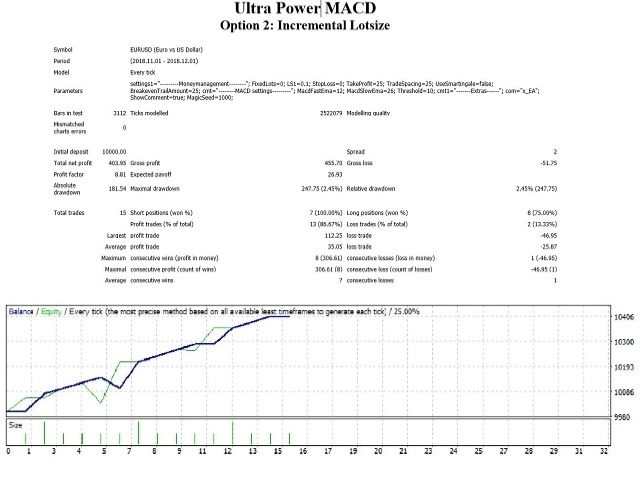 This results in a Multiplier for the next Martingale position of 3. 2) Show comment the standard is set to true.